Auditions are a Funny Thing (I Think). I’d like start off by saying welcome back and that I apologize for the hiatus in content last week. I was in the middle of a whirlwind of travel and preparation for a major audition that I took this last Sunday. I had been preparing for this audition for quite some time and last week was final push to the big day. Auditions are a funny thing I think. They can be the most perilous moments or decisive victories of our careers. We strive for months to attain perfection in what may only be a 10 minute window for an audition committee of people whom we often can’t see behind a screen, or that we may not even know. But we train ourselves to meet what seems to be impossible circumstances nevertheless. We push our bodies to achieve a level of technical grace that we never before thought possible of ourselves. Many of you readers know exactly of what I’m talking about. 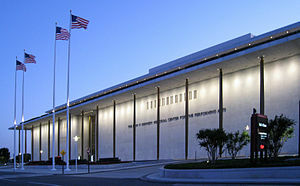 As I was walking to up the steps to the Kennedy Center in Washington, D.C. on the night before my audition (I was attending a National Symphony Concert prior to my audition the following day), I couldn’t help but feel the electric excitement about the imminence of my performance to happen the following day. It was a feeling of what some sports psychologists call “flow”. It’s that feeling where you have conquered your own shortcomings and you move past anxiety, you move past the way you physically feel, for I was getting over a nasty cold, but you suddenly feel as if you are floating above everything while still connected to it. I thought about this feeling– this energy about performing, quite a bit on my four hour bus ride back to NYC. I realized that what I was feeling was 100% pure authenticity about who I was as a performer, what I was doing, and why I was doing it. This is the feeling I have written about many times to describe what is fundamental for effective performance. 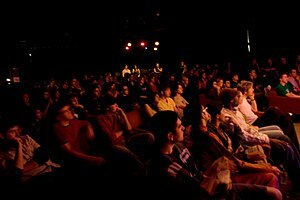 It is necessary for the kind of performance that grabs audiences and doesn’t let them go. When you have this feeling of mastery and of “flow”, you know it, and you feel like it is possible for you to do anything. I had this feeling another time as well, when I played Richard Strauss’s Horn Concerto Op. 11 at the historic Paramount Theater in Kentucky a few years ago. You stand before the orchestra and you bare your soul to the audience and the orchestra. Does this sound a bit melodramatic? Yes, I’ll admit that it does– and it should because that is exactly what music requires of us. Auditions are very much the same way only with complete anonymity. You walk out onto that empty stage stripped of name, voice, face, gender, title, resume, familiarity. All you are left with are the sounds that you are able to produce. 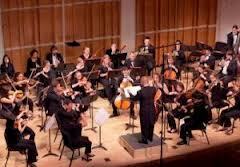 If they are hollow and purely technical, like exercises from a book of etudes, you can’t expect to grab hold of your audition committee and pull them to the edge of their seats. All they have is your sound, you have to be the one to infuse it with your soul, with your will and with your determination. That is what I learned most from my experience this last weekend; that authenticity and truthfulness is centrally important to the work we do as performing artists. To truly make a connection with our listeners, we have to be in complete flow with the music, our instruments, and ourselves.